Absolutely stunning in their simplicity. I would love to get my hands on one of these. Reflex, BevoWatch and mhprice2000 like this. ...and that's the beauty of it all. Top notch IMHO. Good read but sadly, unattainable for me. Wow. They just punched into Zenith territory. Some very nice watches, prices aren't horible either but at 39mm it would look like a pimple on my gorilla wrist lol. desk_diver and BevoWatch like this. Dayum, I should've gone to truck driving school. More power to you Shaker! Keep on truckin! desk_diver, Reflex and Shakermt like this. The dial procedure is interesting, it's beautiful. 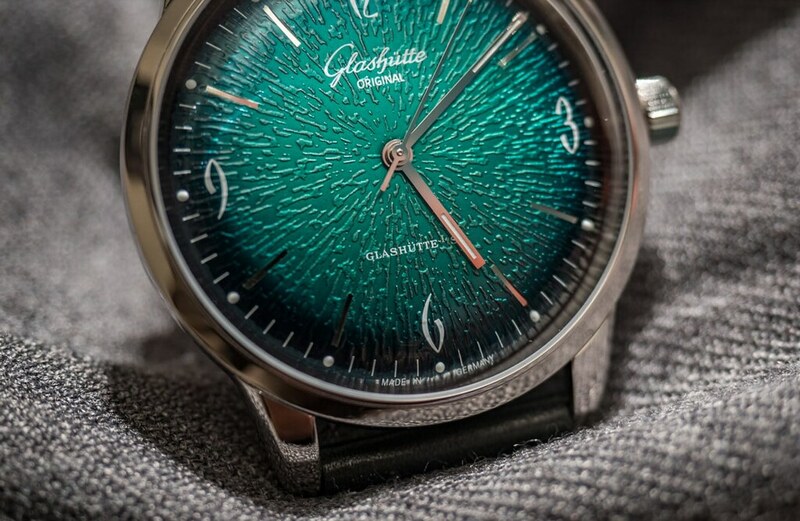 Reminded me of this Glashutte dial i looked at last week, wish i could find what i was looking at, was interesting how it was produced. Entirely different production but reminded me of this one. Myke, desk_diver and dermouse like this. in itself on these works of art right?!! watches. Have to look at these a little longer if you don't mind. Thanks once again sir !!! You are very welcome peeps, very pleased you enjoyed the article. AranaWhite, Robotaz and desk_diver like this. I reread the article and have a comment on the author’s opinion. Presage models offer unmatched price:value. I expect GS to up its game, and I’m a big GS fan. That steel is just badass. AranaWhite and desk_diver like this.